KIEV, Ukraine -- Jailed opposition leader Yulia Tymoshenko would have to return to Ukraine to complete her prison sentence after receiving any medical treatment abroad, according to the text of a draft law made public on Friday. Parliament is scheduled to debate the draft next week in a new twist in the case of Tymoshenko, whose imprisonment is threatening the signing of a landmark agreement between Ukraine and the European Union next month. Tymoshenko was jailed for seven years in 2011 for abuse of office after a trial which Western governments say was politically motivated and smacked of 'selective justice'. European envoys, shuttling between Brussels and Kiev, have asked President Viktor Yanukovich to grant a pardon to his arch-rival to allow her to travel as a free person to Germany to be treated for spinal problems. This formula, if accepted, is widely seen as sufficient to ensure that the EU would sign the deal on association and free trade at a summit in Vilnius, Lithuania, on November 28. For ex-Soviet Ukraine, it would mark a historic shift towards the West and away from Russia. Yanukovich, in a surprise move, said on Thursday he was ready to sign a law to allow her to go abroad for treatment, if a draft was adopted by parliament. But he did not mention granting her a pardon. In comments carried on his website, he said: "Naturally, if parliament adopts this law, I will sign it." "TREATMENT IS NOT A PARDON"
Tymoshenko, 52, says her trial was a personal vendetta by Yanukovich. She has said she is ready to go to Berlin for treatment, but her family says she wants to benefit from a pardon, as requested by the EU envoys, to be able subsequently to return to political life. A text of the draft to go before parliament next week said it would be up to a Ukrainian court to decide whether Tymoshenko was ill enough to qualify for treatment abroad, and the court would also define the length of time allotted for treatment. "On the expiry of the term, defined by the court for treatment abroad, the convicted person would return to Ukraine to continue serving the punishment," it said. Parliament speaker Volodymyr Rybak said the proposed draft would be discussed next week in a full session of the assembly. "This law must be such that convicted people do not avoid punishment because treatment is not a pardon," he said, according to the parliament's website. A first reaction from the Tymoshenko camp suggested the new development might not be acceptable to her. Her lawyer, Serhiy Vlasenko, said the draft law ran counter to the EU's criteria for democratic progress, which the bloc has said it wants Ukraine to meet for the Vilnius summit. "The criteria require an end to selective justice, not a suspended sentence," Vlasenko said. Pro-Yanukovich deputies dominate in parliament and the draft law seemed likely to get strong support from them, though the political opposition sees no need for such a law. The two EU envoys, Irish politician Pat Cox and former Polish President Aleksander Kwasniewski, will discuss the new proposal with both sides when they visit Kiev next week. "Cox and Kwasniewski will resume their efforts to resolve the Tymoshenko case. They will be in Kiev on Monday and Tuesday for further talks," a European Parliament official dealing with the affair said in Brussels. Tymoshenko has been receiving treatment for her back problems from German doctors under prison guard in a hospital in the northern city of Kharkiv. Up to now, her family and supporters have been talking in terms of her going to Berlin's Charite clinic for treatment. She said on October 4 that, while she was ready to go to Germany for the sake of Ukraine, she would not seek political asylum there and would continue to fight "dictatorship" in her country. 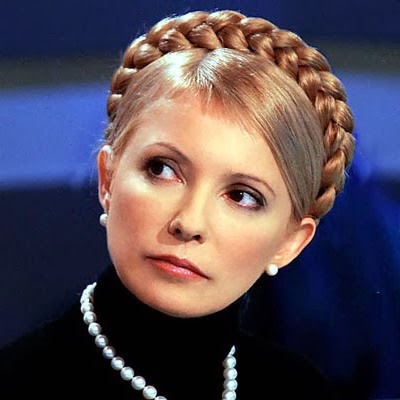 In case of strong opposition to Yulia's Tymoshenko return to Ukraine for continuing serving her punishment, court may allow Tymoshenko for an appeal to president's pardon after she completes 50% of her term.